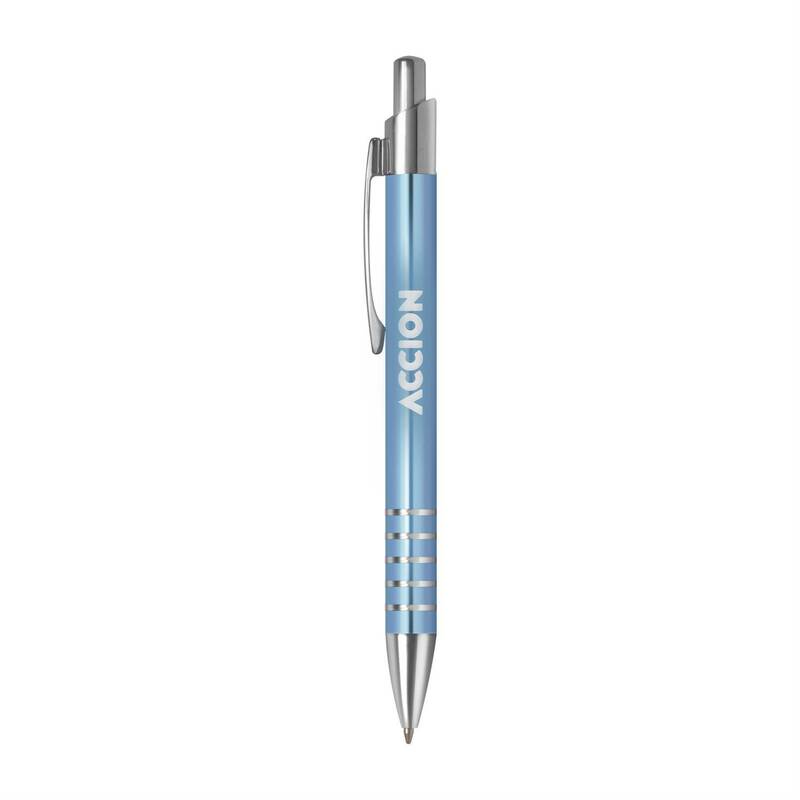 Ice blue metal body, polished silver trim, click action design. Blue ink. *One Color Imprint. Additional Set Up/Run Charge will apply to gift boxes.